Hmmm...our satellite seems to have picked up some large unidentified vessel moving along on the Ganges! Wait, never mind. 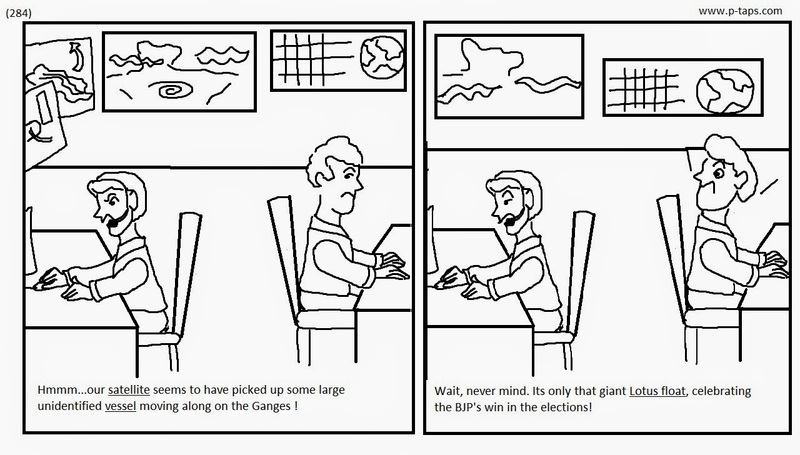 Its only that giant Lotus float, celebrating the BJP's win in the elections!